I got off on this jag, as I saw a piece in the Portland Press Herald this week on a unique train opportunity that will be here in late September. 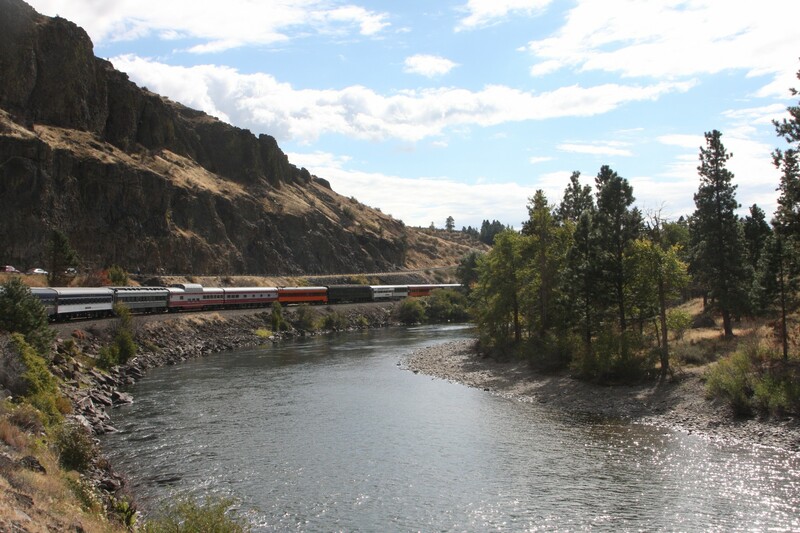 Having had a little stint with model railroading, I know trains offer a special glimpse into our past, and on September 21st, the Pine Tree Limited is scheduled to arrive in Portland for the Private Railroad Car (AAPRCO) Owners Convention, staying until September 25th. What the heck is the Pine Tree Limited, you ask….? Well, going back into the early 20th century (when rail gauges were standardized in width), if you were wealthy, your personal Winnebago would’ve been a custom rail car. This Pine Tree Limited is the 2014 custom voyage for 30 custom rail car owners, starting in Chicago on 9/18, and breaking up in Albany, NY on 9/29/14. The 85’ x 10’ private cars will be accompanied by coaches, sleepers and diner cars as well. I understand they will be picking up the old Boston & Maine route near Troy, NY, then heading east on that line towards us. Some of these car owners sell travel space on their cars to defray the cost of ownership, so contact this website if you’re interested www.aaprco.com! There will be a couple of cocktail parties hosted on private cars at the convention in Portland, so if you sign up for the convention, YOU’RE IN!! To give you an idea of this level of luxury, “The Federal,” built in 1911 has two master bedrooms, a large shower, changing room, crew quarters and a full service kitchen. It has carried both Presidents Taft and Woodrow Wilson in the past. The cars run from $100,000 for a “fixer-upper” to many multiples of that for the finer examples. The AAPRCO holds these trips in a different destination city each year, so this is a special opportunity to see these beauties in New England, At this point, we have some availability at Brewster House, but late September fills up quickly, so don’t delay!! 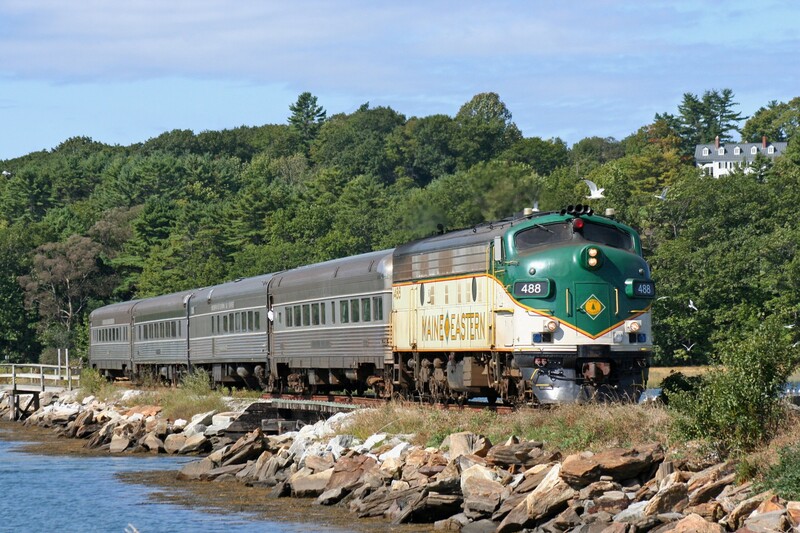 Another fantastic more regularly available nostalgic and beautiful train excursion here would be the Brunswick to Rockland Line with traverses a stunning mix of rivers, peninsulas, bridges, ledge and forest, as well as such famously scenic towns as Bath and Wiscasset. The Maine Eastern Railroad operates Fridays, Saturdays and Sundays offering a 112 mile round trip: between Brunswick and Rockland. They offer some special Blues Rides, as well as special trains to and from the LobsterFest in Rockland in early August. Check out their website for more detail www.maineeasternrailroad.com. I guess it’s time to consider “Boats & Planes” for future blogs!! have done an impressive job and our entire neighborhood can be grateful to you. Thank you! What does your scheme entail?